We did some quick math based on our research in the medians and parks of the city and known areas of open, green space and determined that ants in Manhattan outnumber humans … wait for it… nearly 800 to 1! 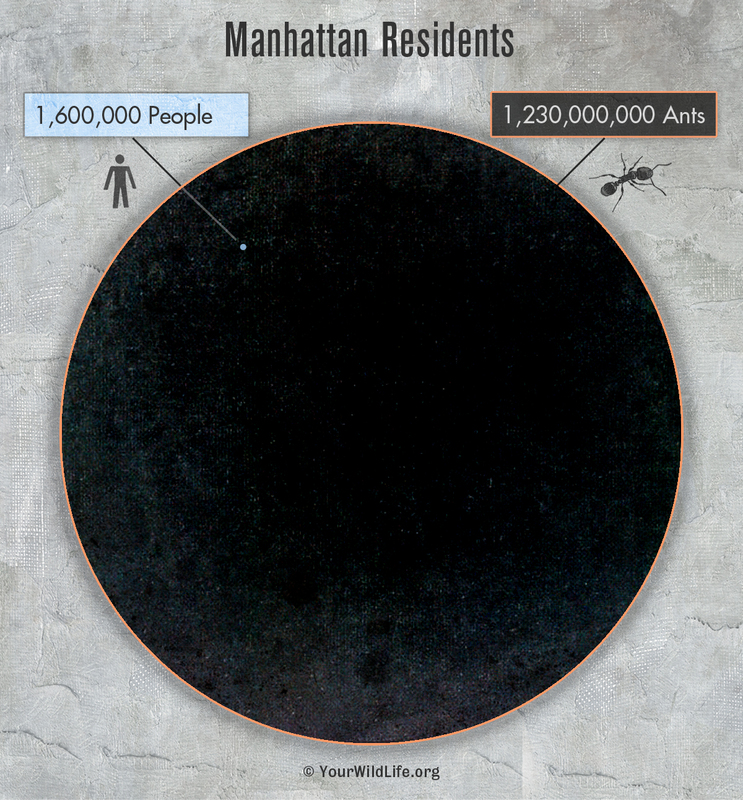 That’s roughly 1.2 BILLION ants in a city with a population of 1.6 million people. In other words, when compared to the ants, humans are a small dot in a big universe of New York’s life. Read more about it in this post on Your Wild Life.